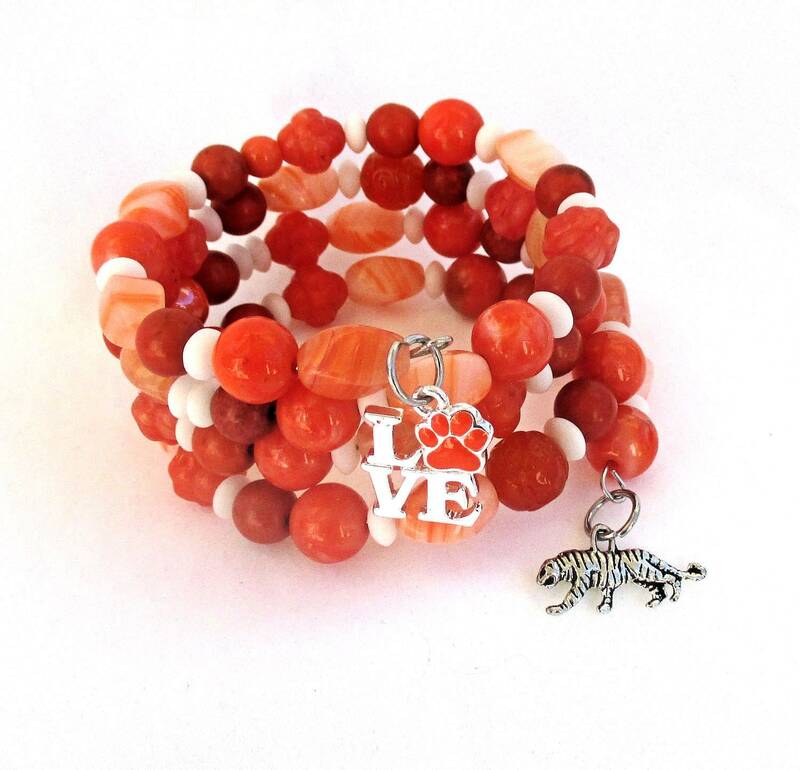 Created from a Jesse James Beads mix called “Fresh Orange,” this orange and white boho chic bling will make a big statement wherever it goes. Special features include a silver tiger charm and silver orange paw “love” charm that will raise the appeal for certain people. However, these charms can be removed or replaced upon request. Memory wire "remembers" its shape and retains its coil form, allowing the bracelet to fit most wrists. No clasps to fuss with. Easy on, easy off.